Yesterday I ran through the Quebec Triennial at the MAC in Montreal, and was pretty much only intrigued by this video installation by Charles Stankievech. You encounter a projection of a white arctic landscape inside a white painted room.  Slowly purple smoke beings to fill up the landscape, accompanied by atmospheric noise by Tim Hecker.